Welcome to the ancillary website for Fitness for Life Canada. To access your resources, you must first sign in to your account. If you do not already have an account, please Create an Account. Once registered, sign in and click the links in the left column to view your resources. Open access to the student web resource is also found in the "Student Resources" section of the Fitness for Life web site at www.fitnessforlife.org. 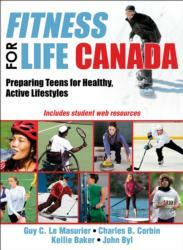 The teacher web resource includes supplemental materials for instructors to use in the Fitness for Life Canada program. Make your own tests and quizzes. Choose from hundreds of test questions. Download Respondus or RTF files, or files formatted for LMS use.